Salt Lake City Computer Repair Service has provided the best mobile computer repair in Salt Lake City, UT and the greater Salt Lake City Metro Area since 1999. The term "mobile computer repair" means we come to you, to your home or business, to resolve all your computer problems. Why not use the #1 rated company for computer repair in Salt Lake City, UT? "Jason was courteous, knowledgeable and efficient in his work. He resolved problems with both of my laptops. The work was completed in a timely manner and charges were quite reasonable." "Ben is great at what he does. He was able to find out my problem within minutes. Great service and highly recommended!!!!" "Taylor was most helpful. Thorough and knowledgeable, 5 stars all the way." 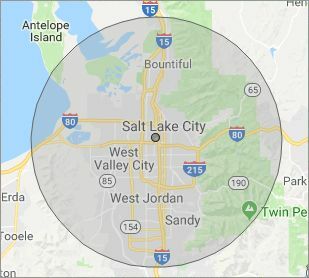 Who is Salt Lake City Computer Repair Service? 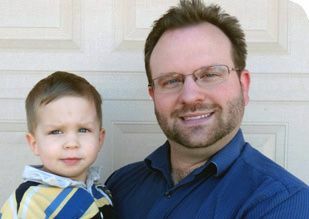 Salt Lake City Computer Repair Service is owned by Matt Karls, an Electrical Engineer and a Computer Systems Engineer. We are a team of computer professionals focused on service and quality, all our work is guaranteed. If you have any computer, technology or IT problem in Salt Lake City, UT we can fix it. We have been performing computer repair in Salt Lake City full time since 1999. Feel free to give us a call or text us at (801) 679-2640. Our primary on-site mobile service areas include the greater Salt Lake City metropolitan area and the Phoenix, Tucson, Las Vegas and San Diego metro areas. We provide remote and mobile computer repair in Salt Lake City, Bluffdale, Bountiful, Centerville, Cottonwood Heights, Draper, Farmington, Herriman, Holladay, Kearns, Magna, Midvale, Millcreek, Murray, North Salt Lake, Riverton, Sandy, South Jordan, South Salt Lake, Taylorsville, West Jordan, West Valley City and Woods Cross. Our mission is to fully resolve your computer problems quickly and affordably. If you want a Computer Engineer that can fix all of your computer problems instead of a computer tech, a computer geek, a technician or a computer guy that can only fix some of your problems; call us at (801) 679-2640. "I had a major computer failure that I couldn't resolve. As it might have been a hardware conflict, I wanted a tech to check out the system at home with everything connected. Taylor came out actually ahead of schedule, ran the diagnostics and the issue was resolved. I couldn't be happier with the service and professionalism. Thank you." "Matt was excellent. He explained my problems in a way I could understand and fixed them all! I would highly recommend this computer company."